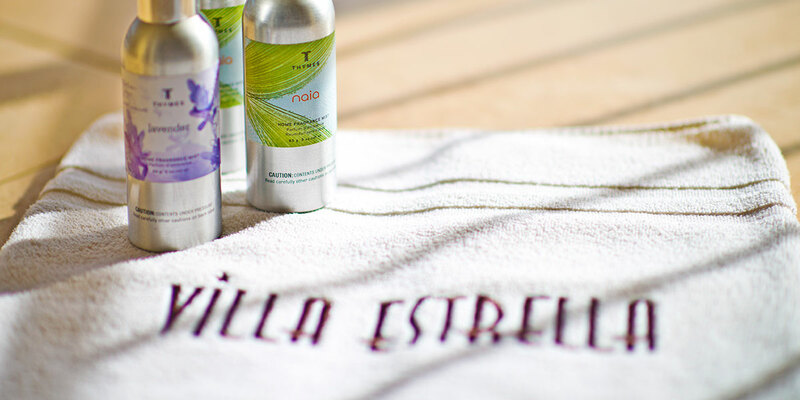 Villa Estrella offers a full range of outstanding amenities to make you feel at home. 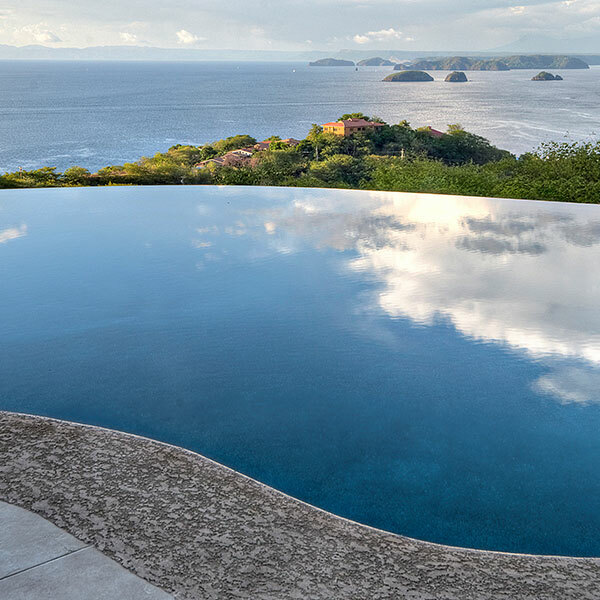 Oversized infinity pool with enough floats for everyone and a heater for shady days. 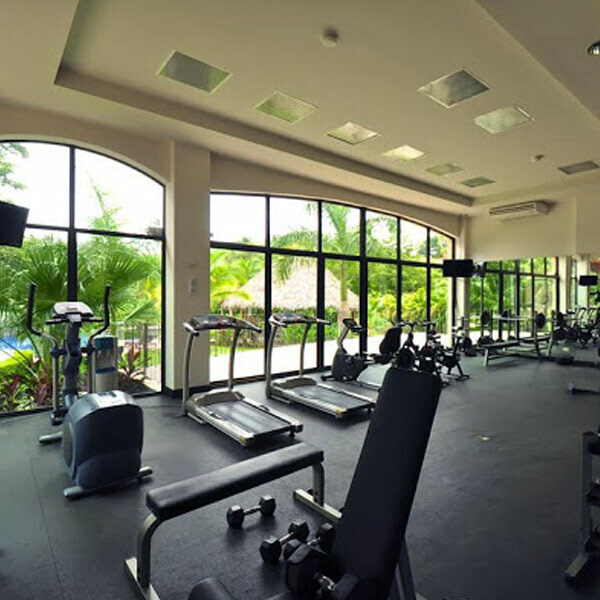 Brand-new state of the art wellness center is ideal for groups and fitness retreats. 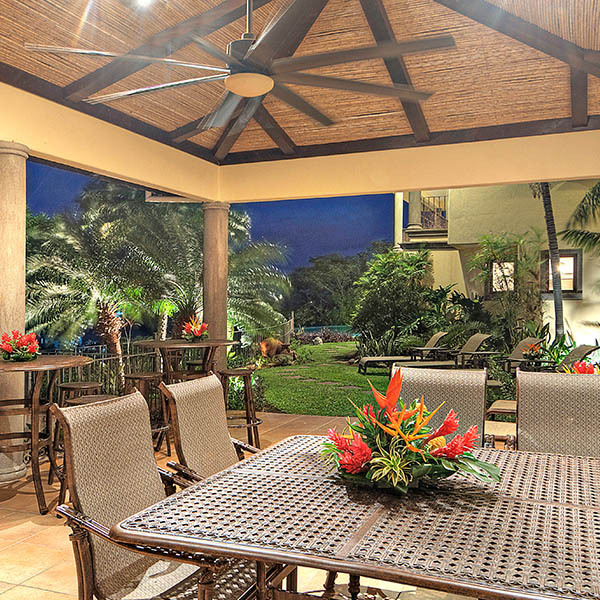 Two outdoor dining areas with fans mean you can continue to enjoy the seabreeze and Costa Rican scenery while dining al fresco. 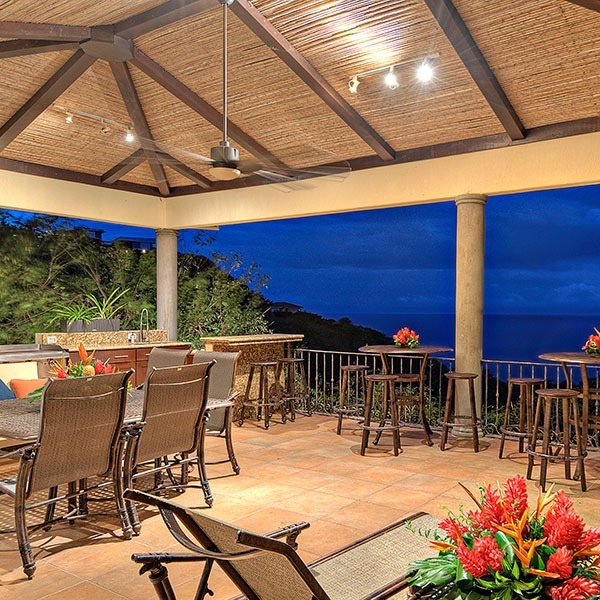 The poolside bar and staff bartender are there so you can enjoy the decadent drink of your choice. 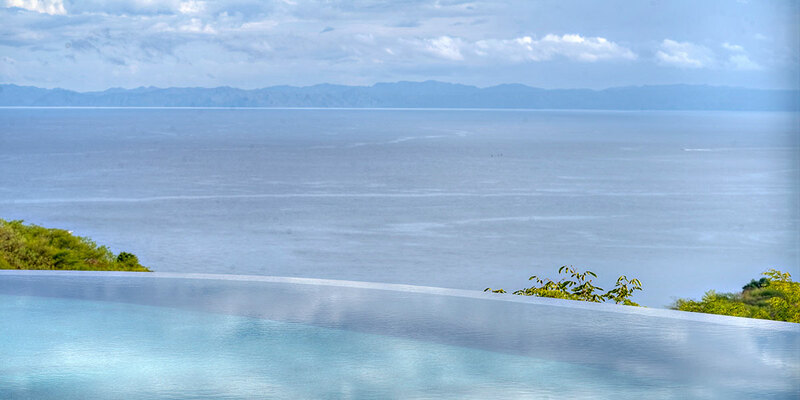 A Sonos wireless audio system allows you to enjoy your favorite music throughout the villa. 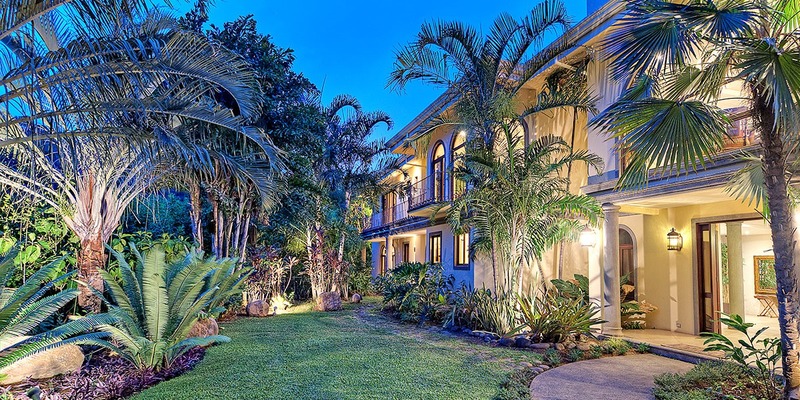 The villa is equipped with fiber optic Wi-Fi connectivity so everyone can connect from their various devices at the same time. 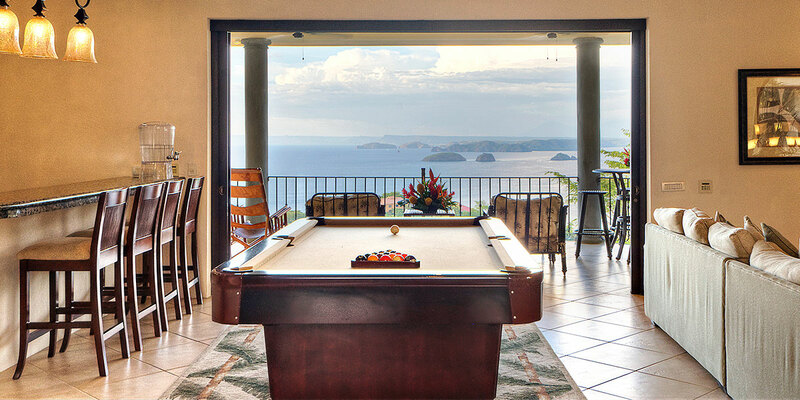 Costa Rica is known for its rich, aromatic coffee. 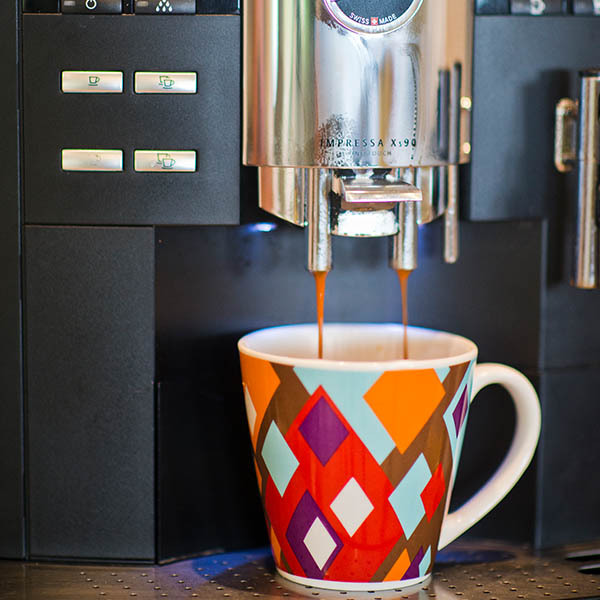 At Villa Estrella, we take “good” coffee very seriously! 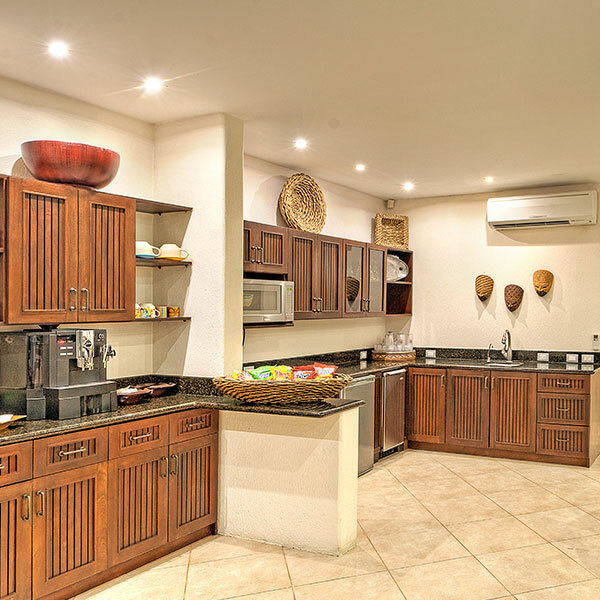 A fully-stocked bar, fruit bowl, and snack area are meant to satisfy between meals. 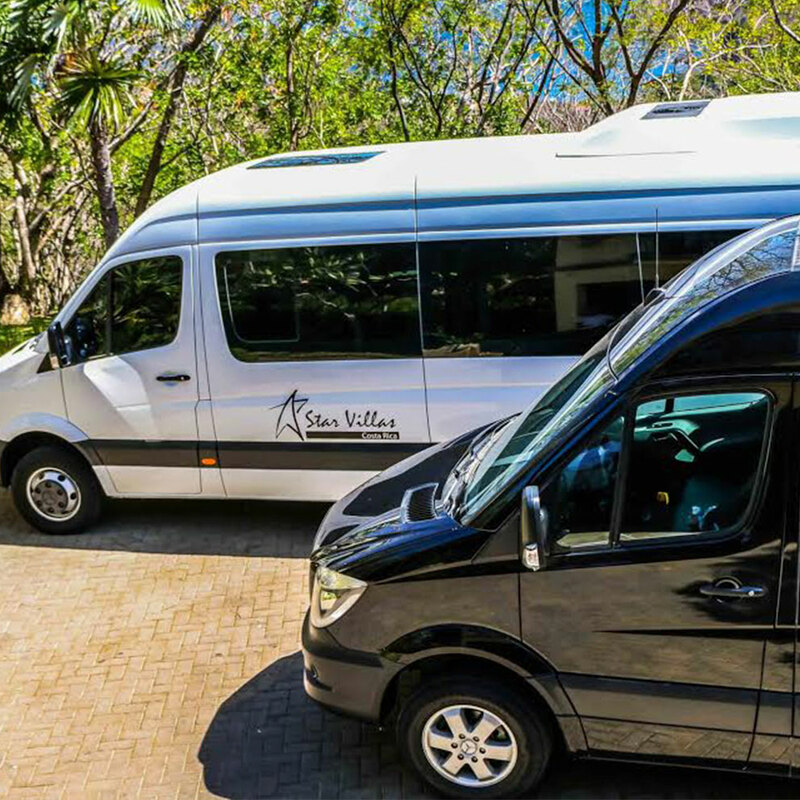 Trust the Villa Estrella driver for short trips from the villa, a ride to and from the airport, or transportation to area attractions. 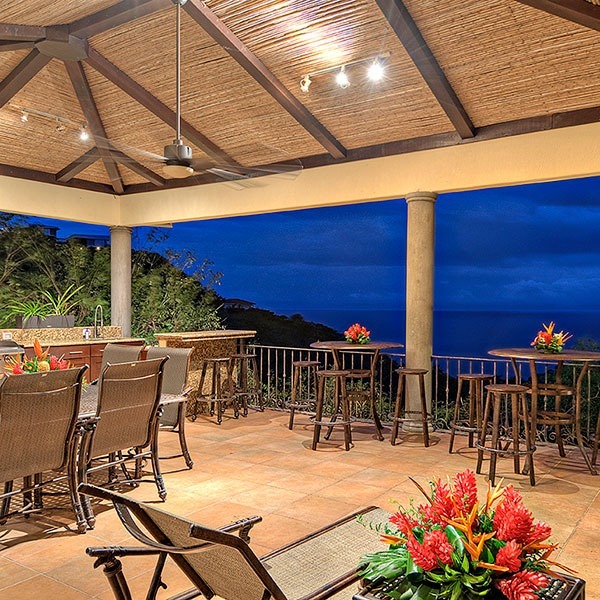 Villa Estrella guests enjoy all the privileges at a nearby beachside club with tennis courts and a fitness center. 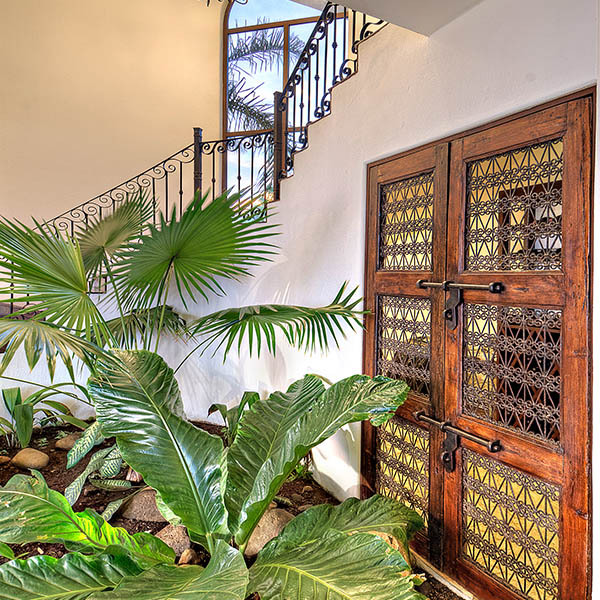 The on-site power generator ensures Villa Estrella’s guests are never without essential luxuries. 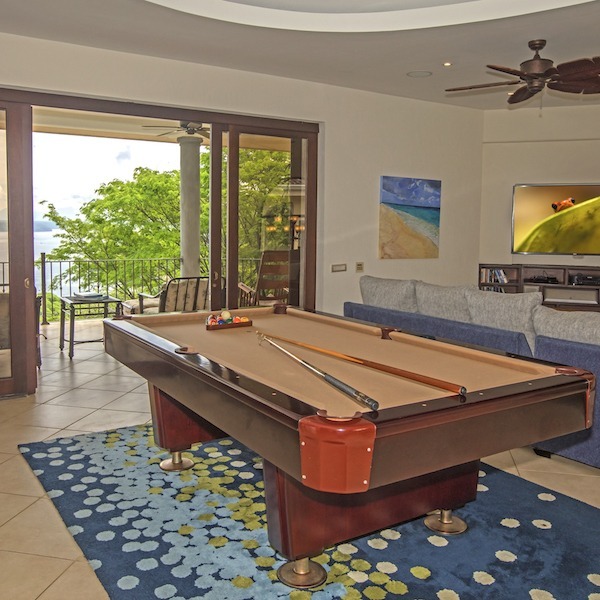 The game room is furnished with a bar, big screen television, pool table, and games. 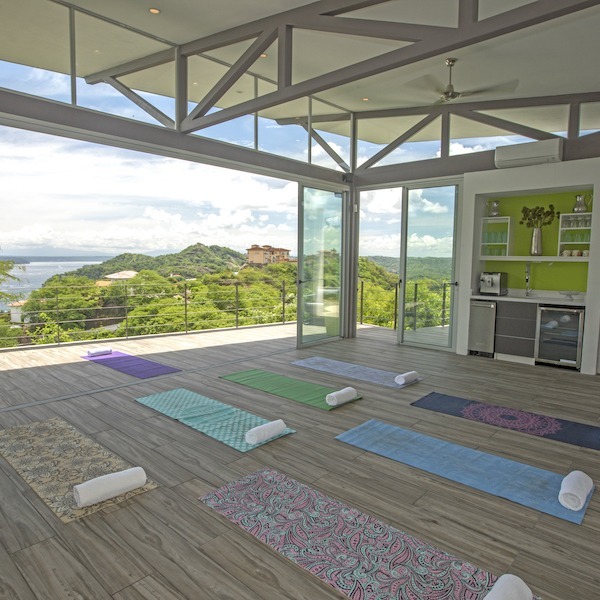 The pavilion offers both a kitchen area for cooking classes or al fresco dining as well as a designated spa and exercise area that overlooks the water. Luxury bedding provides a great night’s sleep. Personalized climate control in every suite. 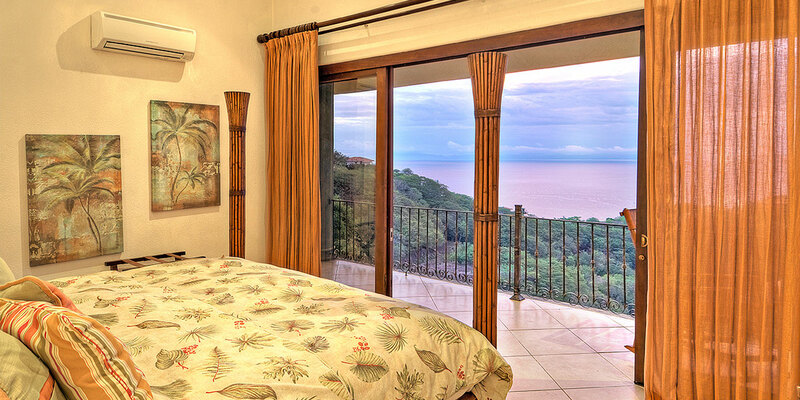 Balconies expose you to the sights and sounds of Costa Rica or allow you to get lost in a novel. Private bathrooms have full facilities for your comfort and convenience, toiletries and hair dryer included. 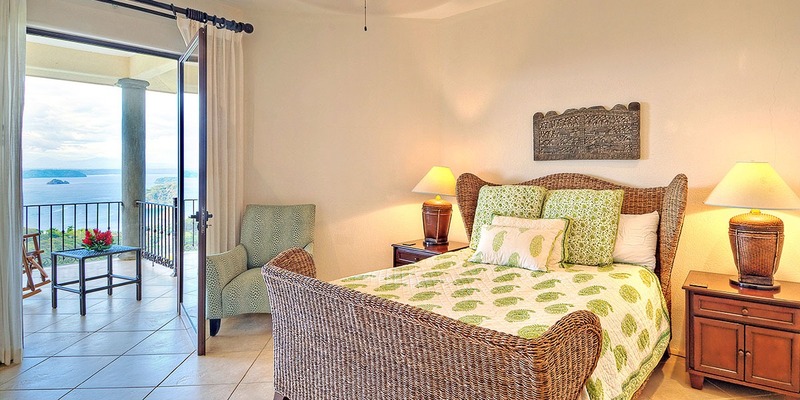 Large doors, windows and ceiling fans help you take advantage of the seabreeze and exotic jungle fragrances. For groups with a sizable number of younger children, Villa Estrella features a larger “group suite” with eight bunk beds. The kid in all of us will love the slumber party experience. 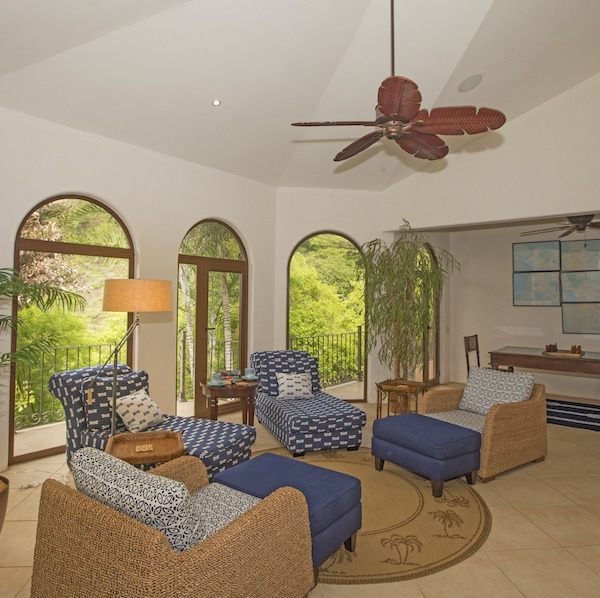 Centrally located in the Guanacaste region of Costa Rica, Villa Estrella sits on two acres in the gated community of Playa Ocotal, overlooking the Gulf of Papagayo and the Pacific Ocean. It is a short 30 minute drive from Liberia International Airport. 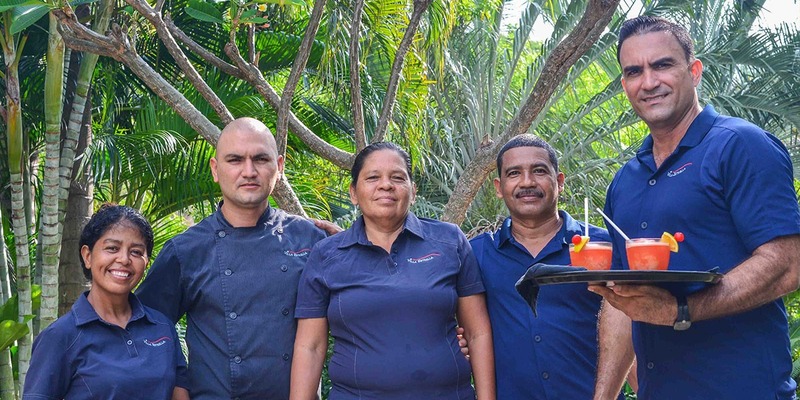 The nearby village of Playa de Coco boasts a variety of restaurants, local shops, and a vibrant nightlife. 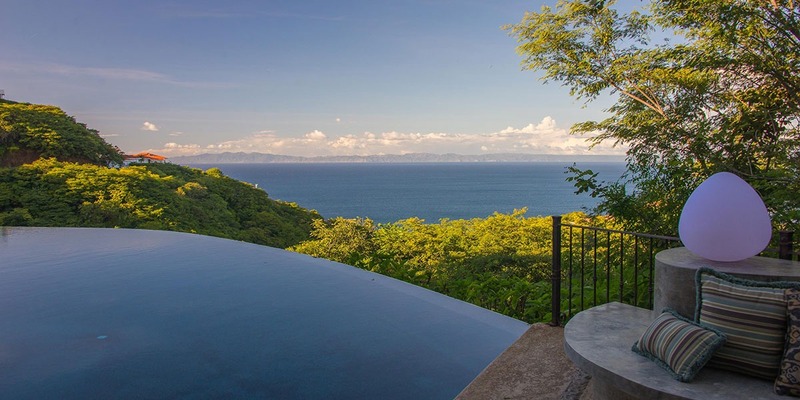 Villa Estrella is situated on a private hilltop overlooking the beaches of Playa Ocotal below with panoramic views of the ocean and volcanic mountains in the distance. Pictures don’t do the view justice. The vastness and beauty go beyond breathtaking. 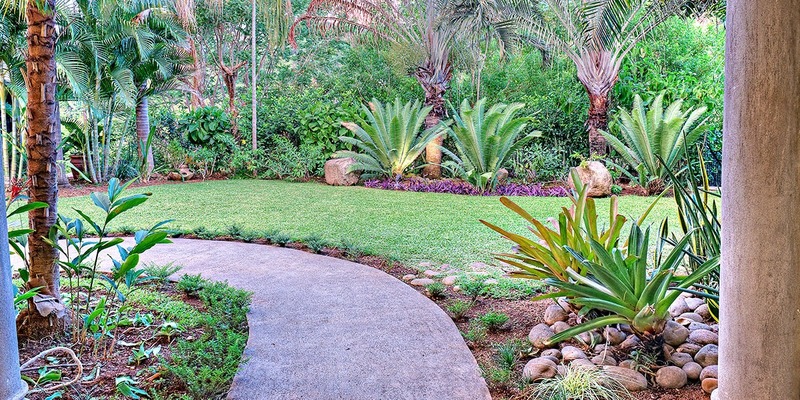 The “Green Season” is a lush and delightfully tropical time when the environment explodes with growth, beauty and natural life. The “Gold Season” is a dry, arid period when green vegetation turns a sun-drenched, golden color giving the region the popular name “The Gold Coast”. The “Rainy Season” of mid-September through October still offers the opportunity to enjoy the villa and surrounding area. 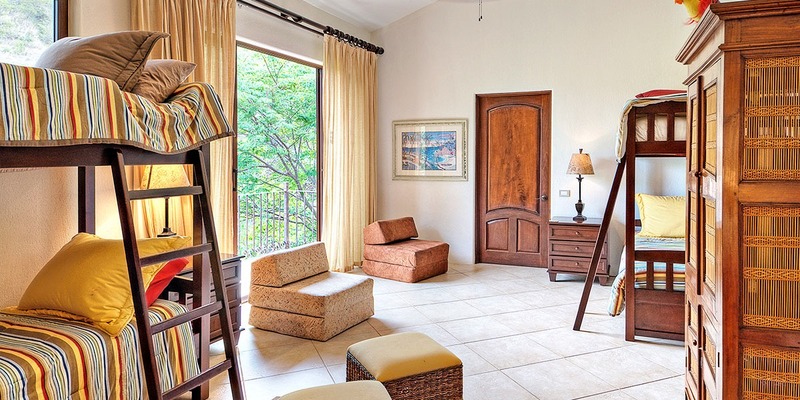 With large common areas and lodging for up to 20, Villa Estrella is designed to entertain large groups. 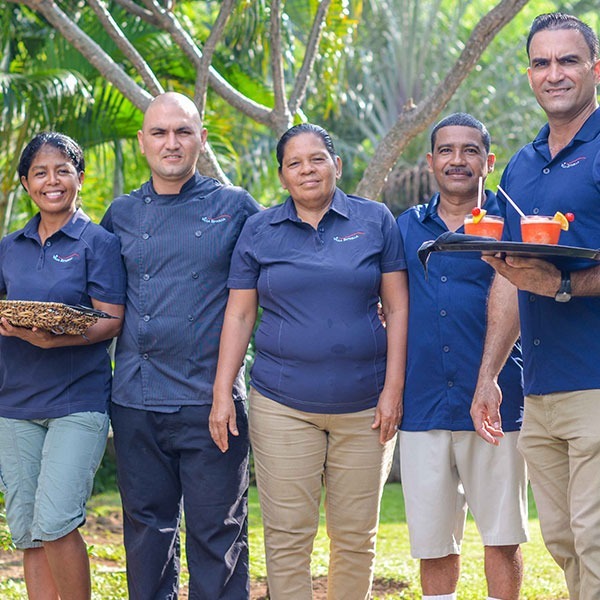 At Villa Estrella, all-inclusive means fully staffed and fully stocked throughout your stay. 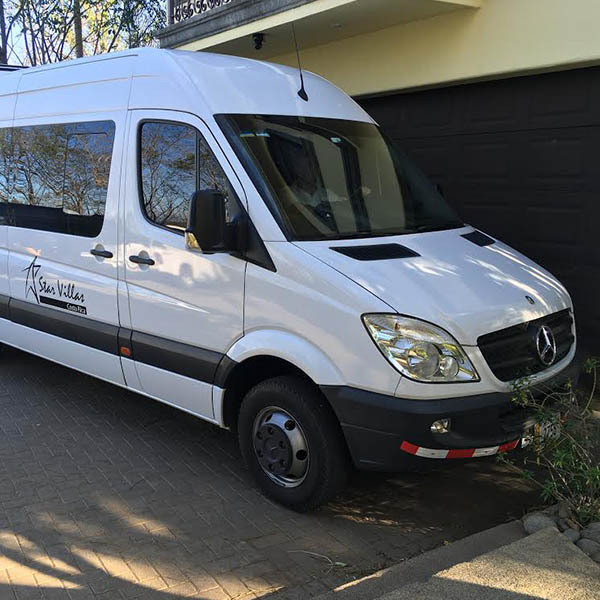 On site driver will transport your group to nearby attractions and beyond. 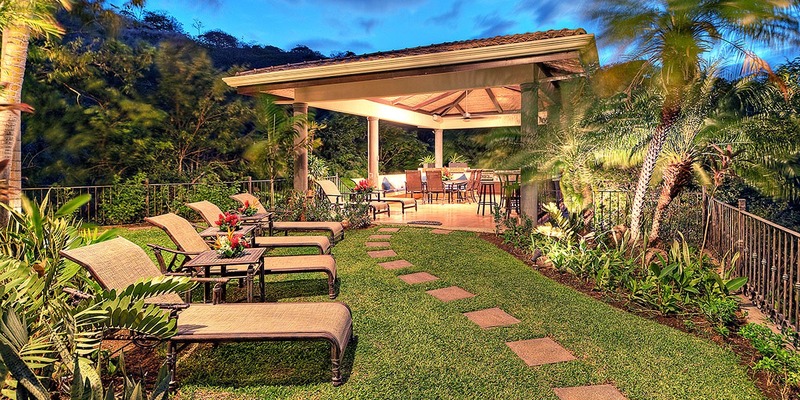 Villa Estrella’s large meeting areas and Costa Rica’s rich tropical adventures make this the ideal retreat destination. Chef Alberto is not just a good cook. He’s earned the title of chef. 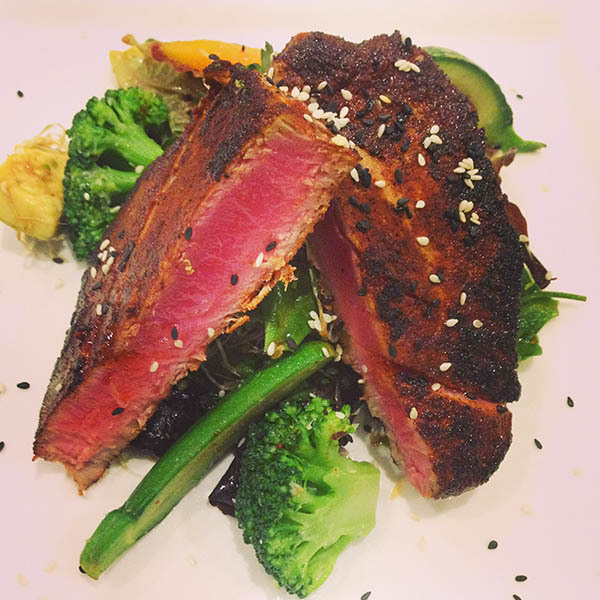 You’ll eat well. 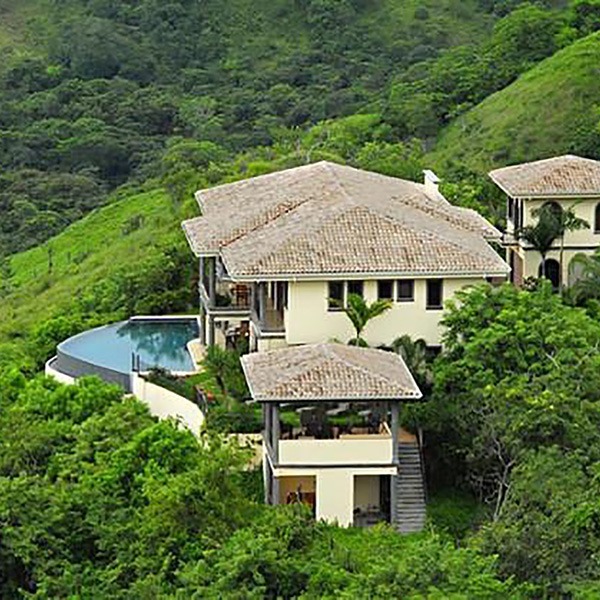 Villa Estrella’s two-acre estate has panoramic views of the jungle, ocean, and volcanoes. 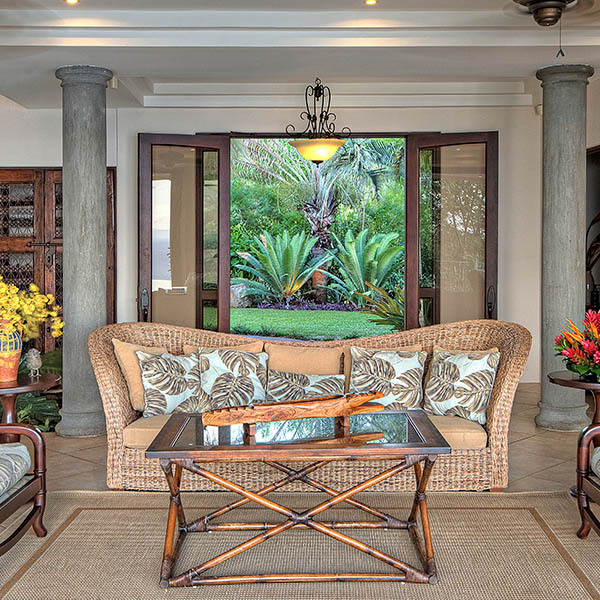 Villa Estrella – Costa Rica is proud of the excellent ratings we’ve received from our guests through some of the world’s largest travel review sites and Facebook. 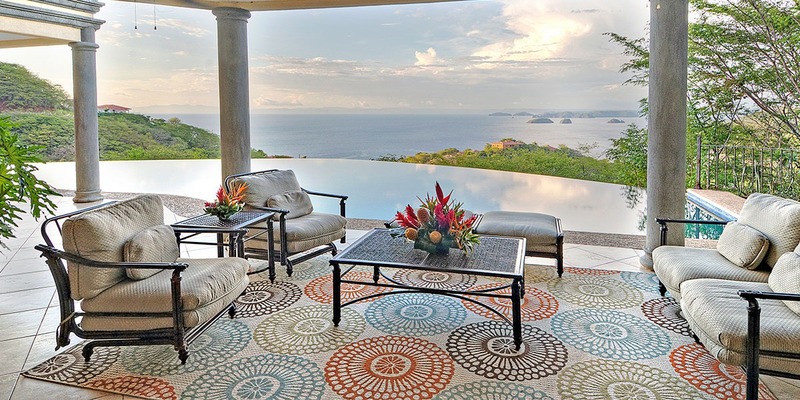 Ready to visit Costa Rica?